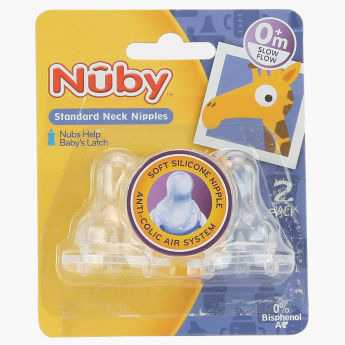 Nuby Non-Drip Standard Neck Teats - Set of 2 | Multicolour | Easy latch-on. 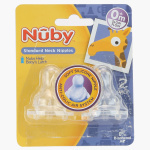 Prevent ingestion of air by your baby during the feeding sessions by using this set of two teats. This BPA-free easy to latch-on teat set with an anti-colic system is made of a good quality material which makes them soft and gentle against your baby’s gums. 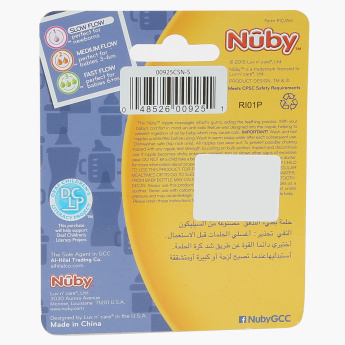 The non-drip technology ensures mess-free feeding.